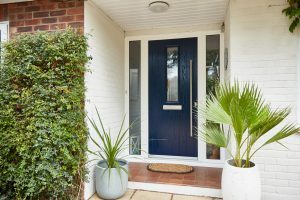 Home - #AnglianAnswers: How do I make my front door more secure? It’s October, and you know what that means – it’s National Home Security Month! That’s why this month, we’re bringing you #AnglianAnswers that are all devoted to improving your home’s security, so stay tuned for our top tips. That brings us to our first #AnglianAnswers of the month, where we’re focussing on a prime area of home security – your front door. 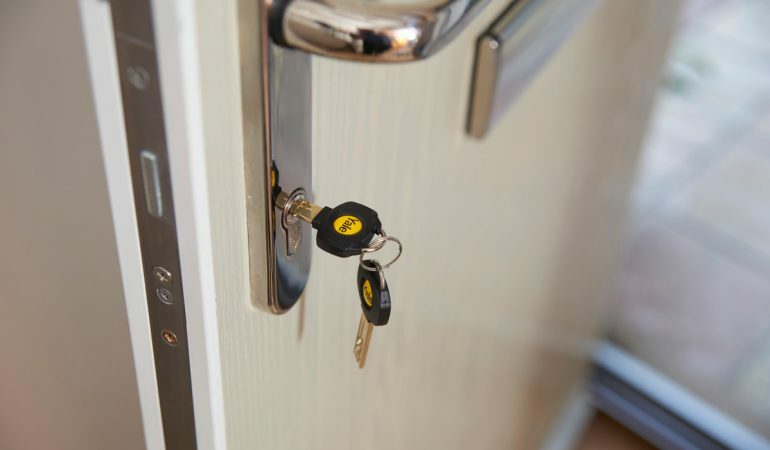 Around 40% of burglaries in the UK are a result of a burglar breaking in through a front door, which means it’s integral yours is doing its job and keeping thieves out. But the question is, how do I make my front door more secure? Keep reading for our best tips. 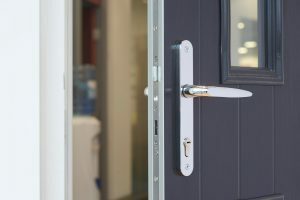 This one might sound like a no-brainer, and that’s because it is – quality front door security starts with a quality front door. You’ll want a front door that’s solid and not hollow, ideally one that’s either made from wood or is a composite door. If you can avoid glazing in your front door, do, but we’ll get to that later. Since knocking down your door with a battering ram might garner a burglar a little more attention than they’d like as they’re trying to break in, they’re likely to go for your lock. That’s why you’ll need a quality lock that’ll stand up to a burglar’s tricks – bumping, picking and drilling, for example. Look out for the Secured by Design logo too, as it’s the police force’s marque of quality security. Video doorbells will let you know exactly who’s at your front door, regardless of whether or not you’re at home. Some will even send alerts to your phone when it detects motion on your front door, where you’ll then see if it’s a burglar or not. From there, some doorbells will let you have two-way conversations with whoever’s at your door, so you can scare a burglar off. Front doors that are obscured by shrubbery essentially give burglars privacy when trying to break into your home. For this reason, you’ll want to make sure your doorway is open and visible from the street so that your neighbours or passersby will be able to see anyone trying to get into your home. It’ll also deter burglars from breaking in, as the chance of them getting caught is higher. If you do have glazing on your front door, not to worry. You can strengthen your glazing with toughened glass, security film on the back of your glass or metal grilles to deter anyone from breaking in. If your glass is unlaminated, consider swapping it for laminated glass so that if a burglar tries to crack it, the glass won’t shatter. For more home security tips, check the video we made with reformed burglar Richard Taylor, who’ll give you an inside look at what about your home can either attract or deter burglars from breaking in. Got a question you’d like to see featured on #AnglianAnswers? Email us at [email protected].